Original available, please call for details. 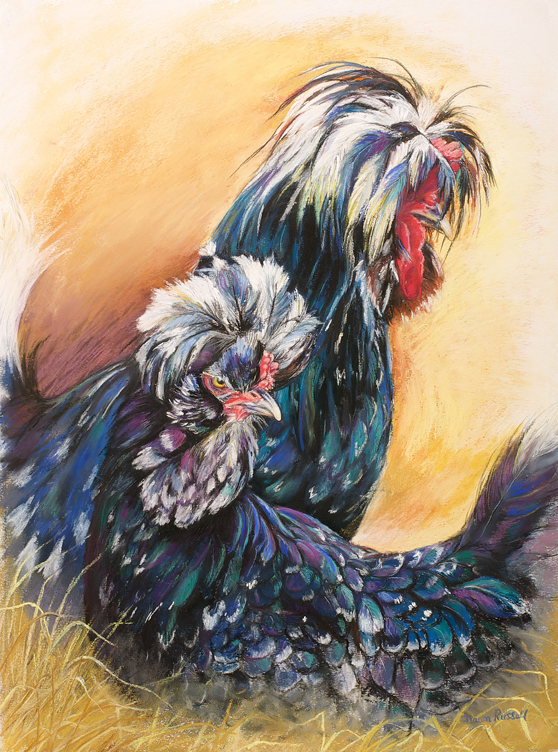 Dawn Russell Limited Edition Giclee Print Edition 100 signed copies Ike & Tina (Crested Poland) Magnificent quality Image measures 255mm x 335mm (10″ x 13.5 “) Total mounted size 425mm x 505mm (16.5″ x 20”) Signed and numbered by the artist Original available, please call for details. 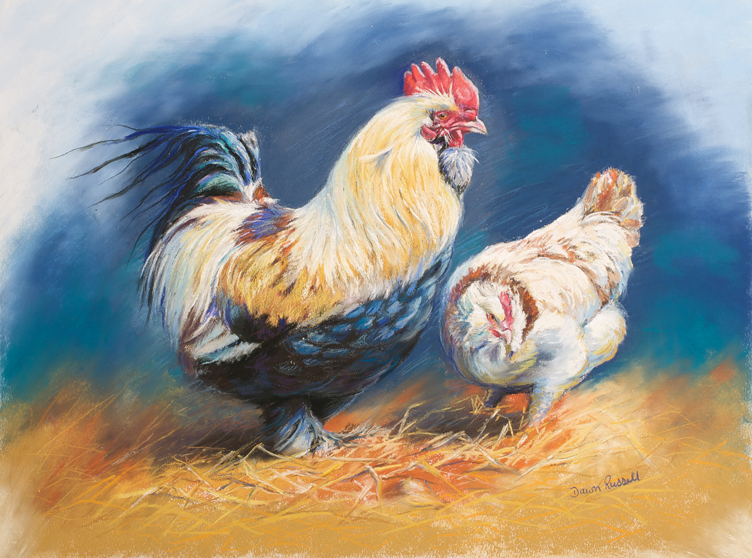 Dawn Russell Limited Edition Giclee Print Edition 100 signed copies George & Mildred (Faverolles) Magnificent quality Image measures 245mm x 330mm (9.5″ x 13 “) Total mounted size 415mm x 500mm (16.5″ x 20”) Signed and numbered by the artist Original available, please call for details. 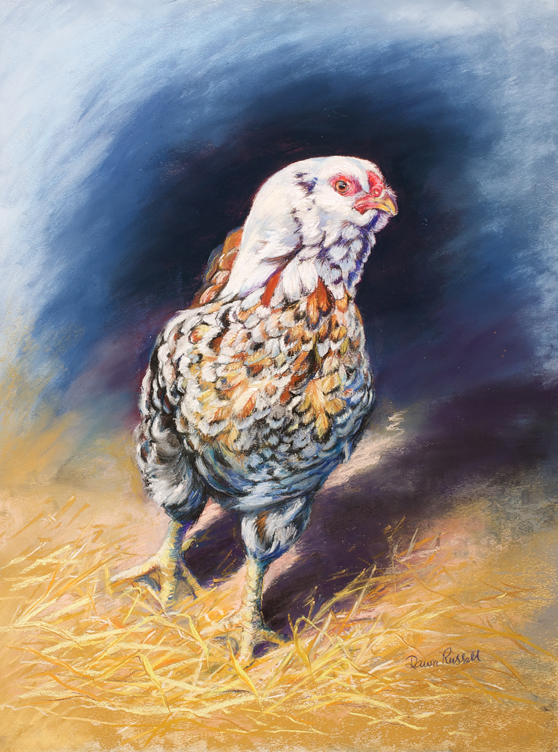 Dawn Russell Limited Edition Giclee Print Edition 100 signed copies Esme (Spangled Russian Orloff) Magnificent quality Image measures 255 x 337mm (10″ x 13.25 “) Total mounted size 425mm x 507mm (16.5″ x 20”) Signed and numbered by the artist Original available, please call for details. 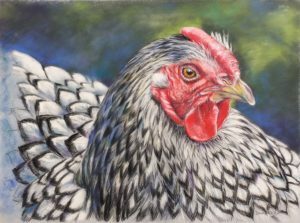 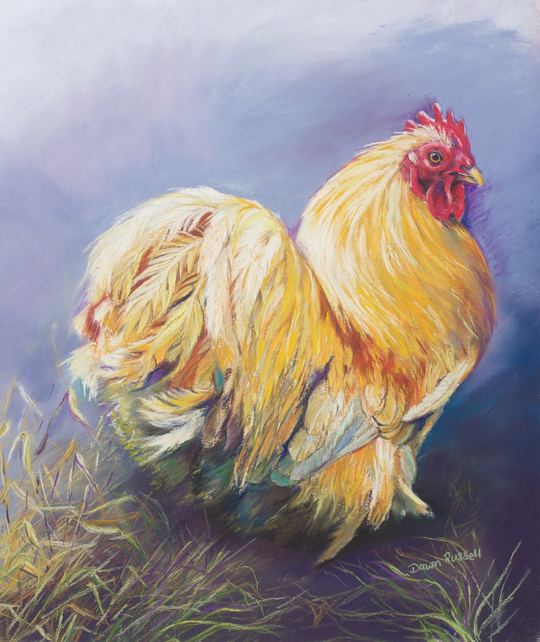 Dawn Russell Limited Edition Giclee Print Edition 100 signed copies Mrs Bustle (pekin) Magnificent quality Image measures 250mm x 305mm (10″ x 12 “) Total mounted size 420mm x 475mm (16.5″ x 18.5”) Signed and numbered by the artist Original available, please call for details.